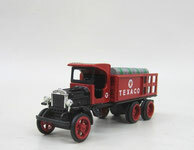 This page will include Diecast 1/43 scale trucks of Chevy, Ford, GMC,Mack, Fire trucks and more. 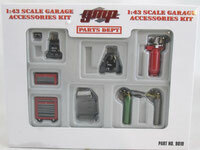 They were made by Ertl American Muscle, Sun Star, GMP, Yat Ming, Road Champs and more. 1935 Mack Type 75BX "Hanover Fire Dept No1"
1938 Ahrens Fox VC "Boonton, NJ."